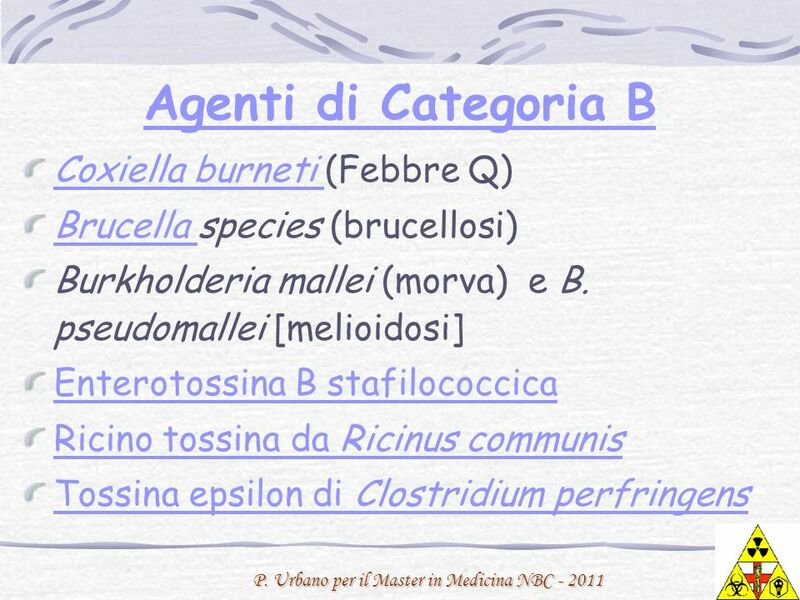 Brucella species (brucellosi) Burkholderia mallei (morva) e B. pseudomallei [melioidosi] Enterotossina B stafilococcica Ricino tossina da Ricinus communis Tossina epsilon di Clostridium perfringens Melioidosis is a bioterrorism category B disease, and _B. 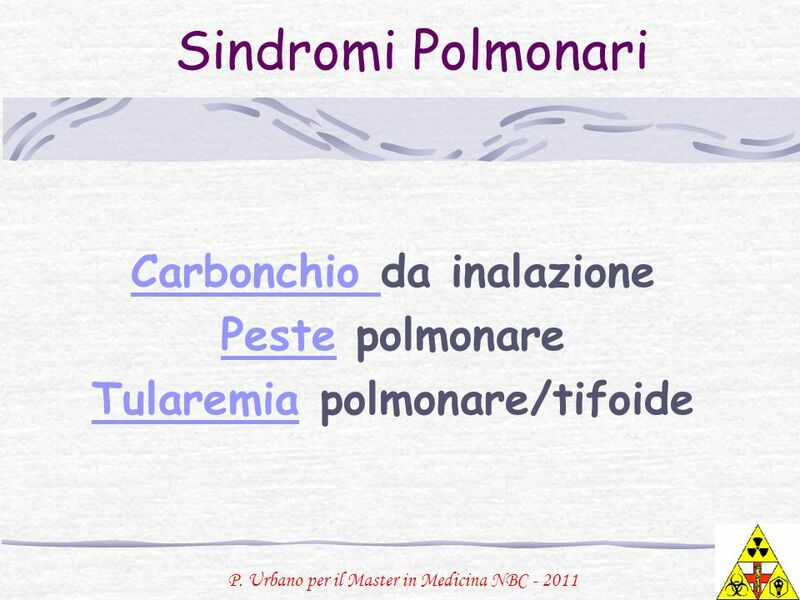 pseudomallei_ is a soil/water organism found primarily in Southeast Asia and northern Australia. 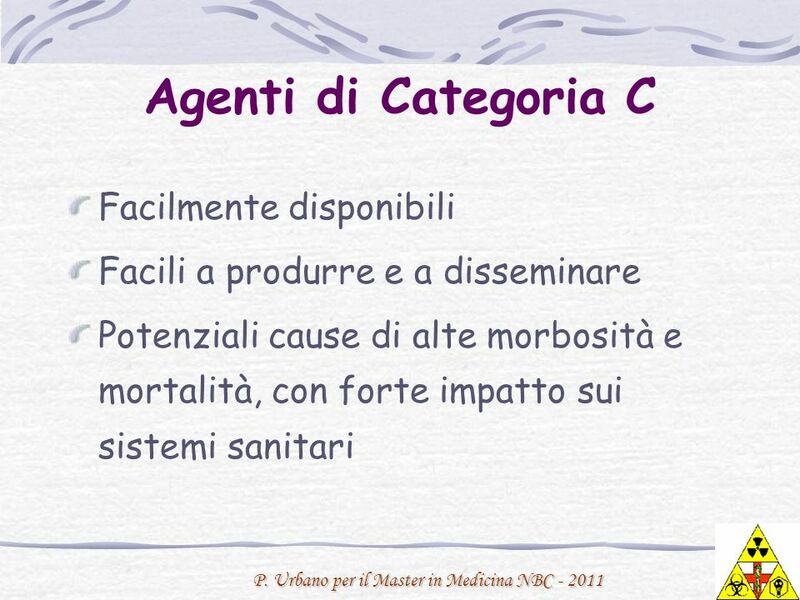 Severe pneumonia with sepsis syndrome is the most common cause of death with this infection and usually occurs in the compromised host, particularly the diabetic. No information is given regarding co-morbidities that may have existed in the boy. 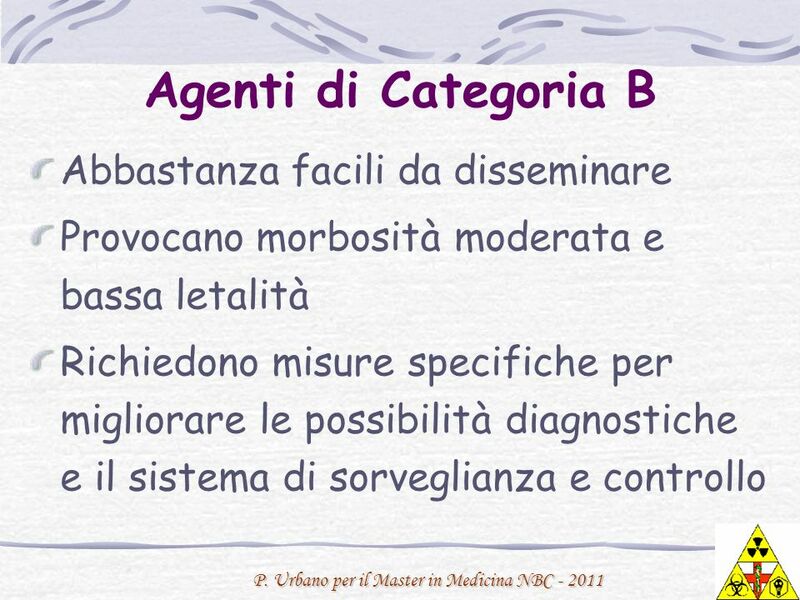 This first discussion will focus on Category A agents. 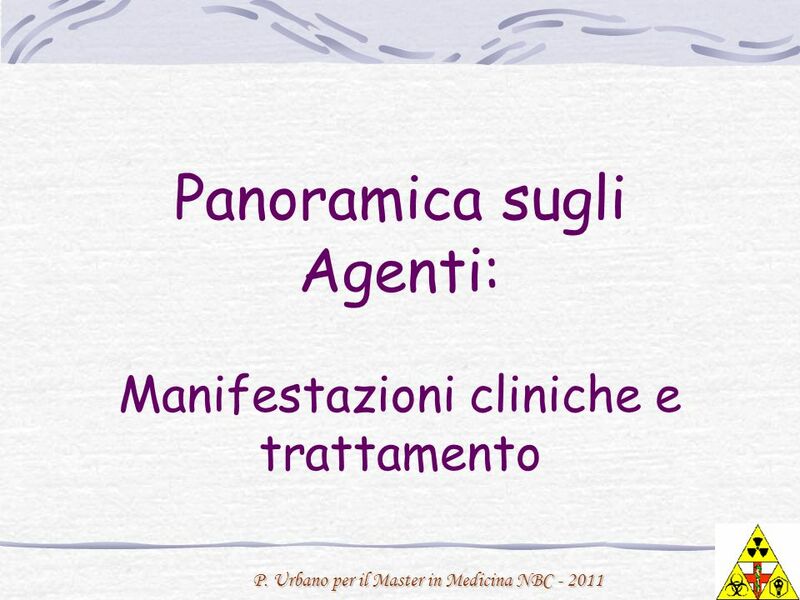 In order to better understand and identify the biological agents, it may be easier to understand the diseases by the syndromes they produce. 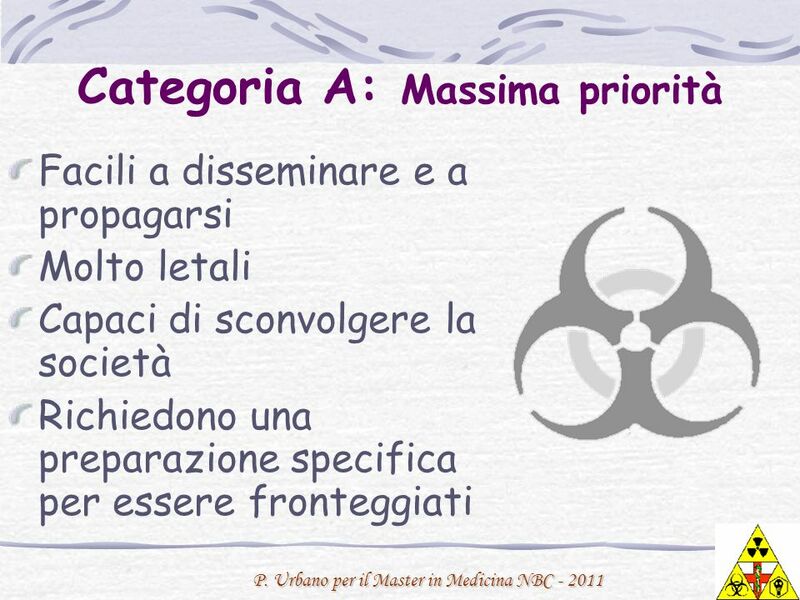 Sindromi Polmonari Carbonchio da inalazione Peste polmonare Tularemia polmonare/tifoide Category A agents that produce pneumonic syndromes are: Inhalational anthrax Pneumonic plague Pneumonic/typhoidal tularemia Melioidosis is a bioterrorism category B disease, and _B. 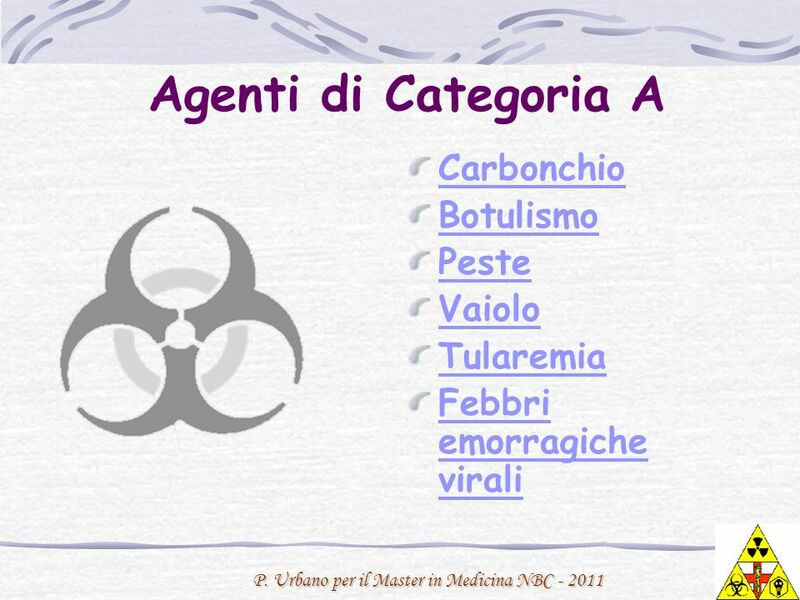 pseudomallei_ is a soil/water organism found primarily in Southeast Asia and northern Australia. 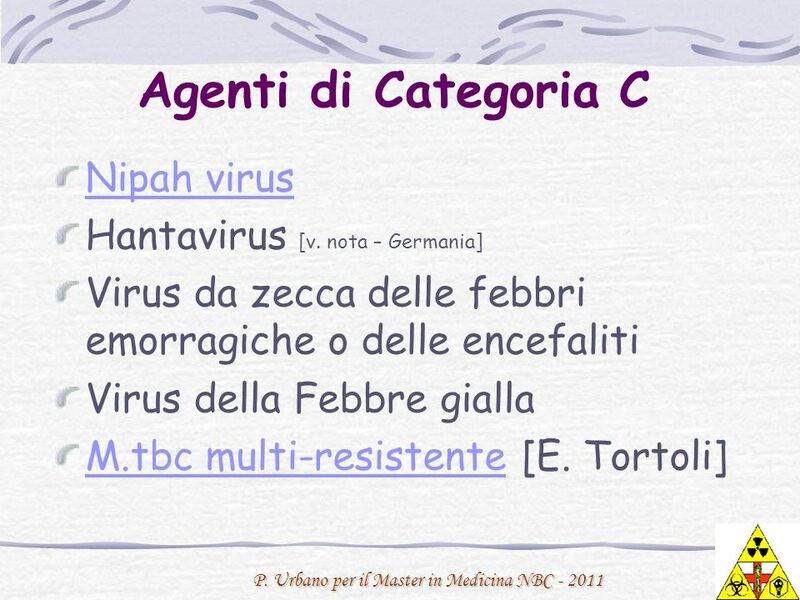 Severe pneumonia with sepsis syndrome is the most common cause of death with this infection and usually occurs in the compromised host, particularly the diabetic. 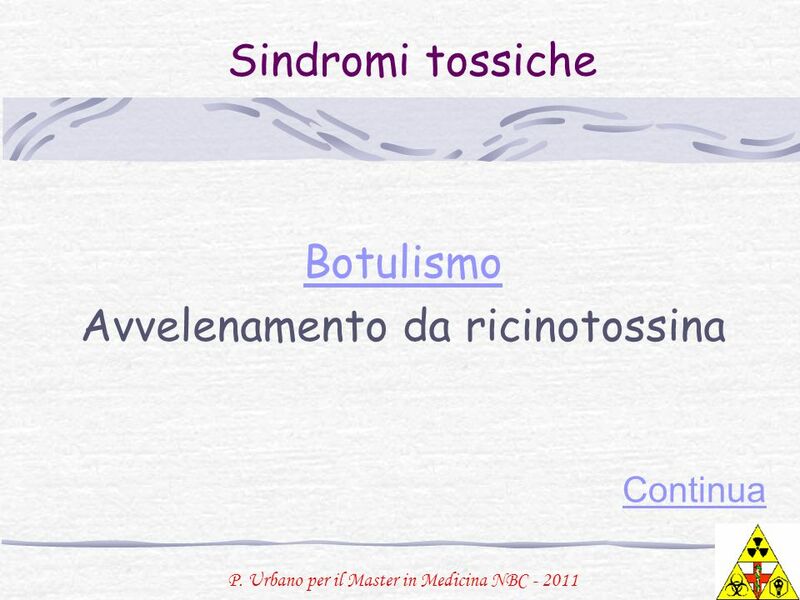 No information is given regarding co-morbidities that may have existed in the boy. 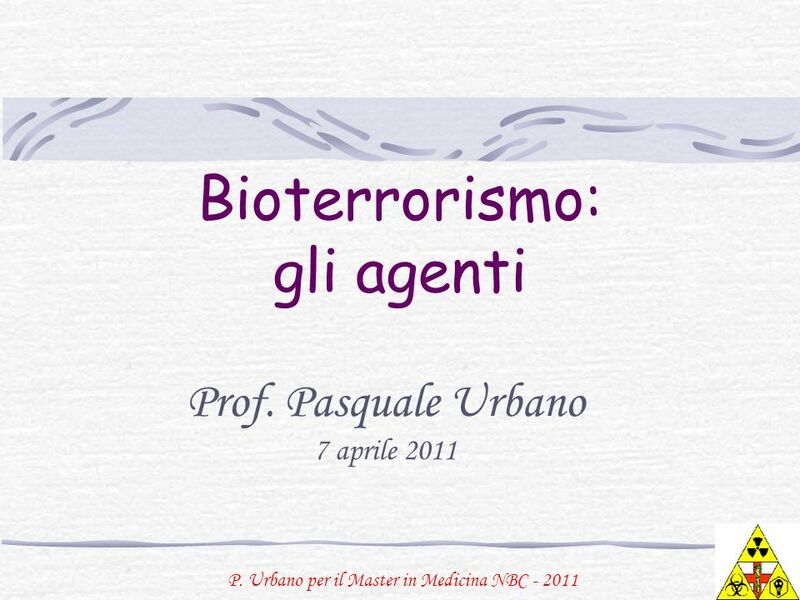 Scaricare ppt "Bioterrorismo: gli agenti"
P. Urbano per il Master in Medicina NBC Master in Medicina NBC Sindromi tossiche Continua Sindromi tossiche Botulismo Avvelenamento da ricinotossinaricinotossina.